"Hey, son. 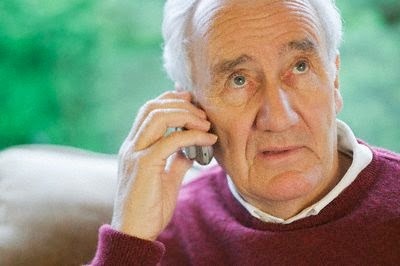 I'm just phoning to say that your mother and I are finally getting divorced. Forty-five years of misery is enough." "What are you talking about?" asked his son. “We can't stand the sight of each other any longer,” said the old man. "I'm sick of her face, and I don't really want to talk about it, OK? Please just call your sister and tell her." He hung up the phone. Two minutes later the phone rang. He picked it up. "Hello?" The man agreed and put the phone down. He then turned to his wife and said, "Good news. They’re coming for Christmas and paying their own airfare."